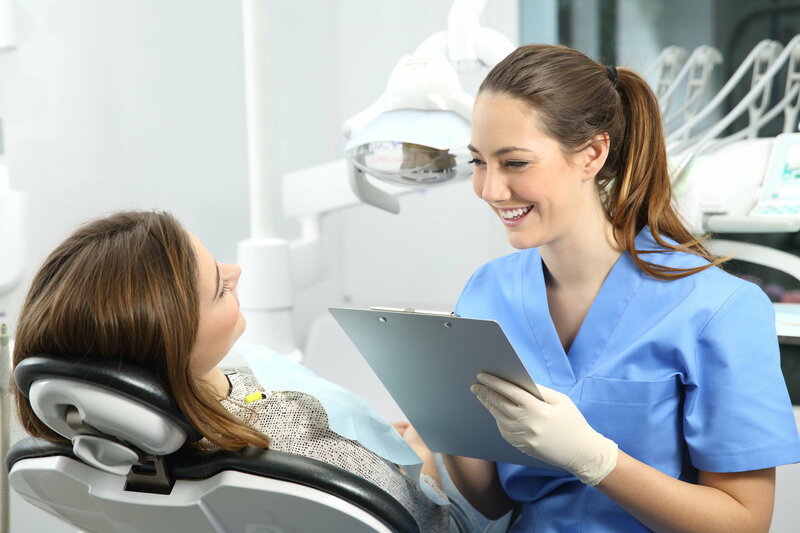 During a routine dental cleaning and exam, your dentist will inform you about any issues with your teeth or gums and recommend the best course of treatment. However, you should still be proactive and ask what you can do to boost your oral health. A dental professional will always be happy to share the latest advancements, new products or different cleaning techniques that could improve your oral hygiene routine. How Does My Diet Affect My Teeth? If you are unsure whether you are making the right dietary choices to benefit the health of your teeth and gums, do not hesitate to raise the issue with your dentist. Anything I Should Tell My Family Doctor? Oral health is closely connected to overall health. In fact, research has linked common dental issues like gum disease to stroke, heart disease and other serious medical issues. For this reason, it is very important to let your family doctor know if you are experiencing any serious dental trouble. Of course, this advice also works both ways: you should also tell your dentist about any important changes in your overall health status since your last visit. Keeping all members of your healthcare team on the same page will help ensure you receive the care you need. When Can I Schedule My Next Appointment? Your dentist will be glad to hear this question! The American Dental Association recommends getting a routine oral exam every six months to maintain a healthy mouth. Scheduling your next appointment before you walk out the dentist’s doors is the best way to ensure you return for your next biannual checkup. Take ownership of your dental health by asking these 4 important questions the next time you hop into the dentist’s chair. A premier cosmetic dentist in Los Angeles, Dr. Les Latner has achieved both accreditation in the American Academy of Cosmetic Dentistry and mastership in the Academy of General Dentistry – one of less than 10 dentists who can claim that accomplishment. He welcomes questions about oral health from patients both old and new. They can contact him via his website or by calling his office at 310-477-1081.
by: Les Latner at November 27, 2018 .